As a family we started Saturday evening movie nights with Zac. For my husband and me it’s been a great chance to catch up on children’s movies we’ve missed over the past decade. A couple weeks ago, the move we watched was Up. Seriously- this movie needs to come with a warning to parents that it’s a tear jerker, and now in the typical Disney movie way. If you haven’t seen the movie, stop reading now- spoilers ahead! From watching previews I knew the old man’s wife wasn’t going to make it, but was not prepared for the topic of infertility/miscarriage. Before Zac was born, we suffered two losses so this part of the movie (while brief) hit close to home. Thankfully Zac didn’t ask questions about why the couple was decorating a nursery and then the wife was crying in the doctor’s office. My husband and I just glanced at each other and then he went and got me some tissues. The next morning, I was going through my stash of knit fabrics, and Zac saw my Up fabric. He was pointing out the balloons and characters and he asked me to make him a shirt. How could I say no to that? 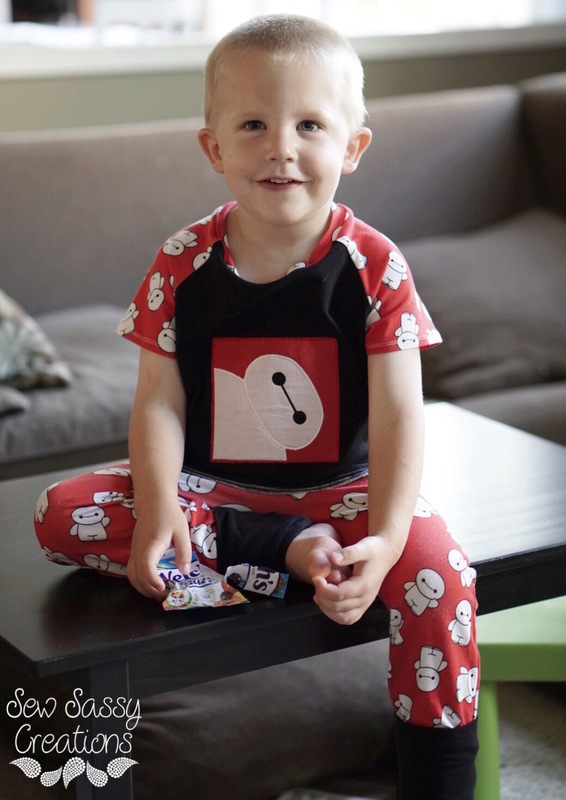 Zac always gets excited when I make him outfits or pajamas out of character fabrics, but I think this is the first time he specifically asked for something. I got right to work. I decided I wanted to make a hoodie. 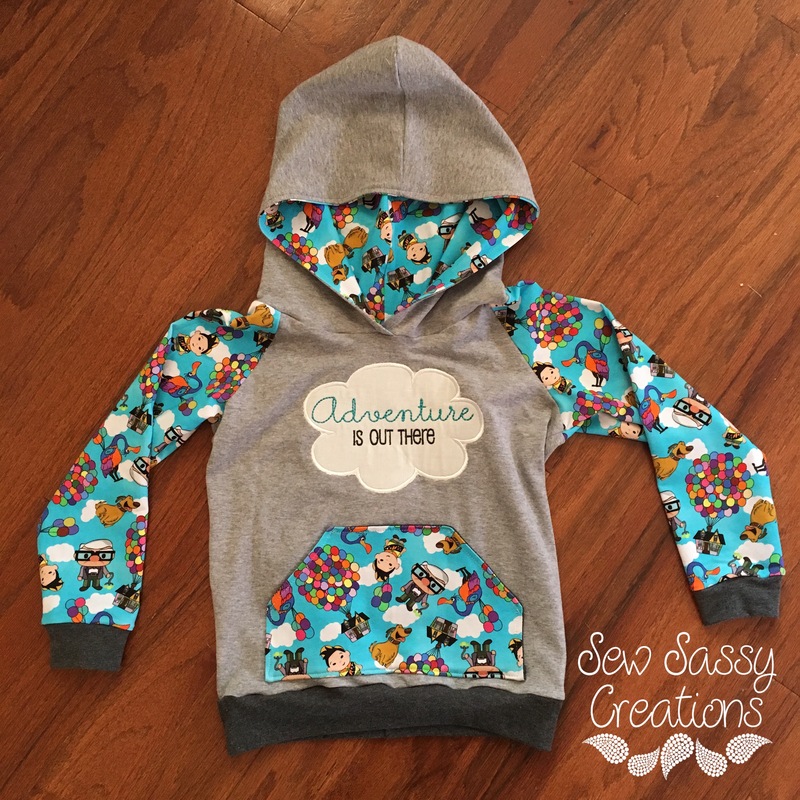 Previously, I have made the all ears hoodie by Max & Meena and knew I could do the hood easily (not sure why that was intimidating to me), but I wanted to add a pocket and this pattern doesn’t offer that option. I then remembered I had a hoodie pattern from Brindille & Twig (free btw) and decided to merge the two. The Up fabric is really colorful, so I wanted to use it strategically. 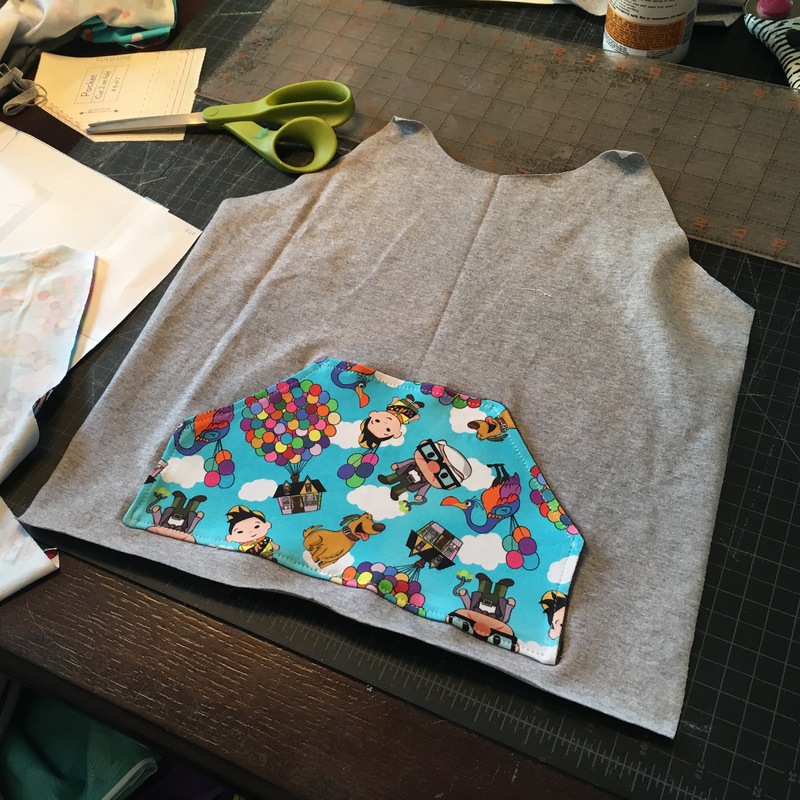 I decided on using grey fabric for the body of the shirt and the Up fabric for the pocket, but first I added an appliqué. 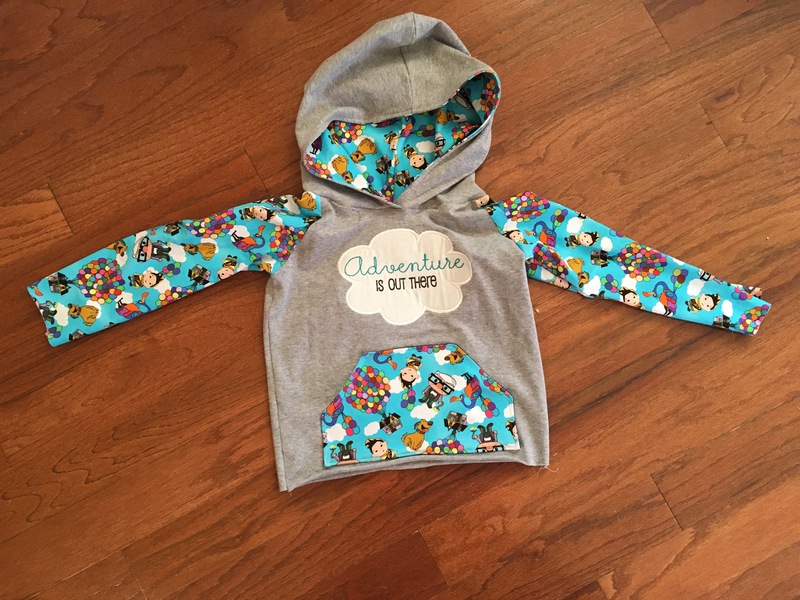 I decided to do the arms and the inside of the hood out of the Up fabric, and make the outer hood grey to match the front (and back) of the shirt. I went back and forth on what to do for the arm cuffs and the waist band, and decided on a dark grey and I’m glad I did. I absolutely love how this hoodie turned out, and Zac does too. The following day was Columbus Day and there was no school. 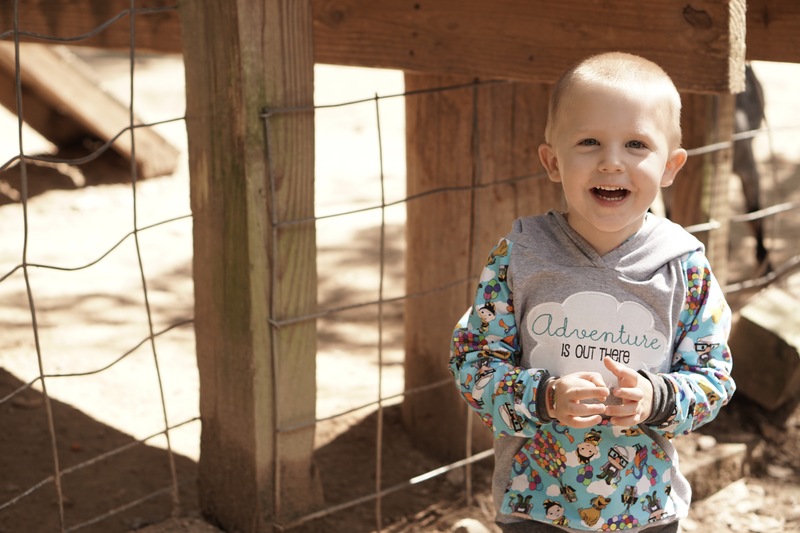 My friend and I decided to take the boys to the Yellow River Game Ranch. 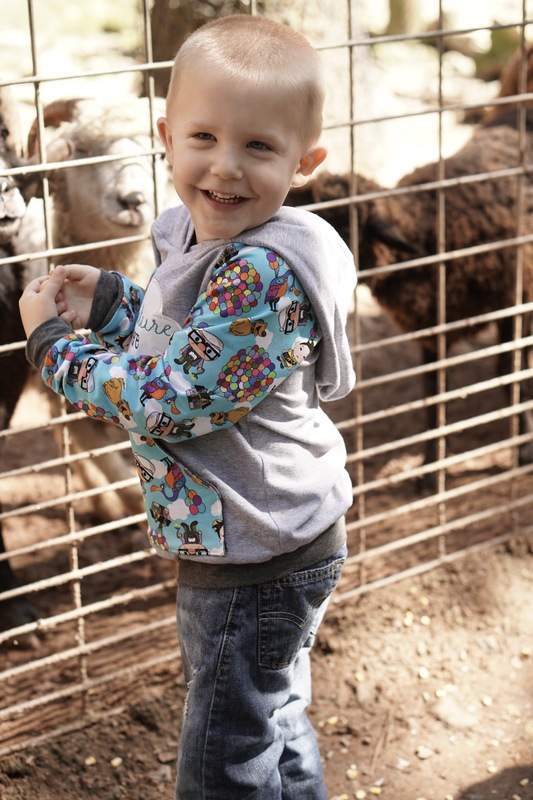 The weather was gorgeous and it was a great opportunity to take some pictures of Zac in his new hoodie. Earlier this year my husband and I purchased a Sony a6000 camera and a 50 mm lens. It was a splurge, but I absolutely love this camera and the pictures I’m able to capture with it. Recently, I discovered the wonderful world of knit fabric, and the secret society of knit Facebook groups. In these groups, you get fabric for cheaper prices by placing (and paying) pre-orders and then waiting anywhere from 4-10 weeks for your fabric to arrive. These groups sell fabric by the yard, but many also sell panels. I wasn’t sure what these panels were at first, but OMG- they are fabulous, and compliment the fabrics they’re designed to match perfectly. 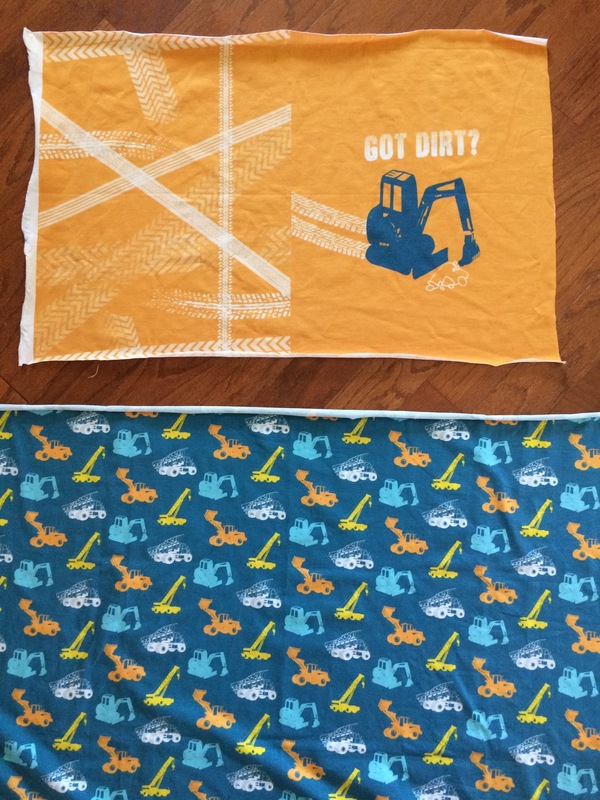 Last month, I ordered a yard of the mighty machines fabric from Peekaboo Pattern Shop and a matching panel. The panels from this shop are different from most others because they’re twice the size of most (20″ by 28″), providing fabric for the front and back of a shirt. I mentioned this shop in a previous post, and if you haven’t checked it out yet, you must. 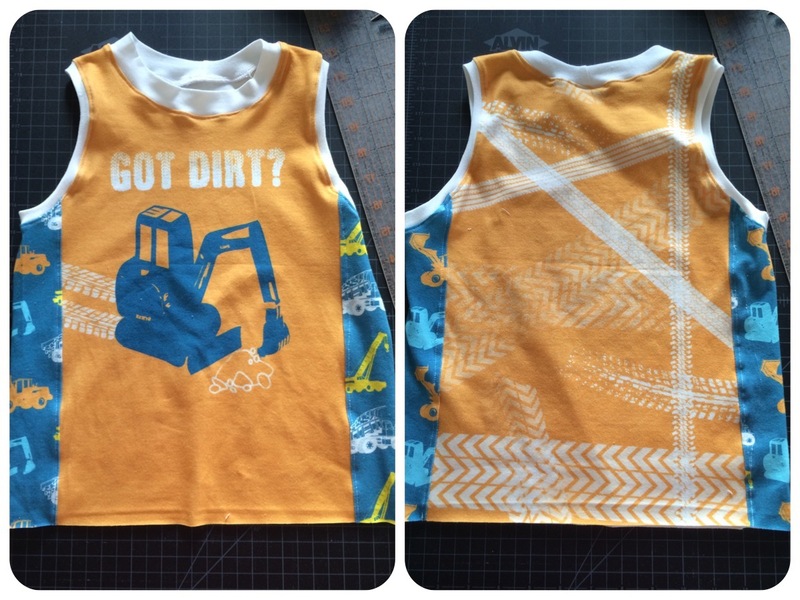 I purchased the Maui Muscle Tee pattern to use and both Zac and I are in love with the finished product. 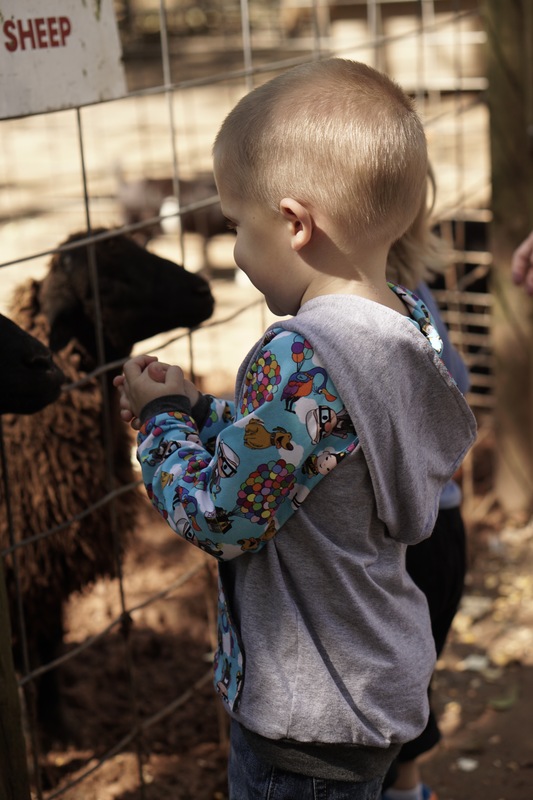 The shorts are from Brindle & Twig, and are one of my favorite patterns at the moment. 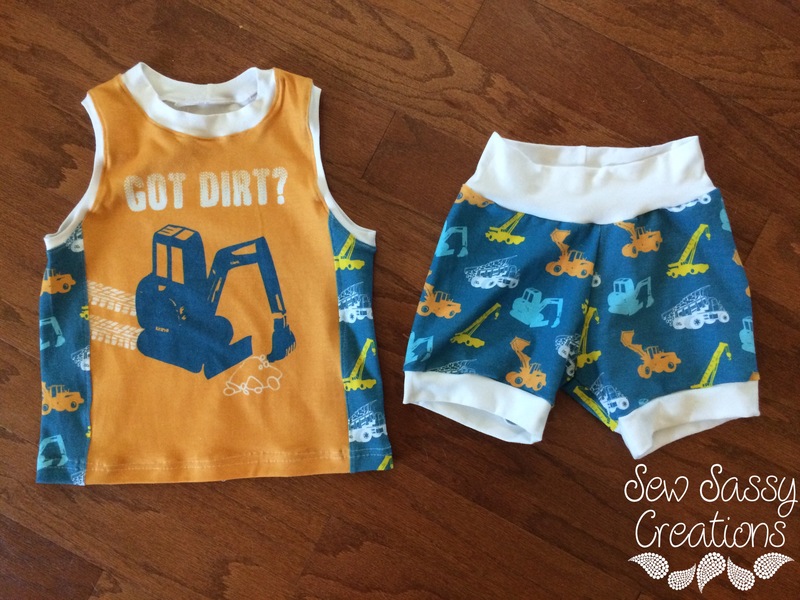 They work great for boys and girls, and use no elastic- only lycra/cotton jersey fabric. Super comfortable and I think we’ll get 2 years wear out of the 3t/4t size for Zac. If you want to try out any of the patterns from Peekaboo Pattern Shop, use my referral link for 15% off your first purchase. Happy shopping!! I have several friends who also sew, and one thing I’ve heard over and over is how terrified people are to sew with knits. Raise your hand if this is you… It used to be me too, but not anymore. I LOVE knit fabric, and the possibilities are endless as to what you can create. I haven’t sewn with knits for long, but in the past 6 months I’ve learned a lot and want to share it with you. Jersey knit is sort of a generic term for the stretchy fabric that t-shirts and leggings are made out of, but there are different types of knits and they’re used for different things. Cotton/Lycra blend- often called 95/5 (95% cotton, 5% lycra or spandex) is my favorite. It has excellent stretch and recovery and I use it whenever possible. It is great for pants for kids and grownups too. Sweatshirt Fleece- just what it sounds like. It’s fuzzy on the back and is what sweatshirts and sweatpants are made out of. Hacci Sweater Knit- unlike the sweatshirt knit, this is not like a typical sweater fabric. It’s thin and silky. I’ve used it for children’s clothing before, but it’s great for scarves or women’s tops. Interlock- a variation of rib knit construction. Double knit constructions makes it a thicker fabric with a tight weave. It’s a great fabric to start with if knits make you nervous. I’ve sewn with a lot of different types of fabrics from a lot of different suppliers, and the one thing I learned is that there is a reason cheap fabric is cheap. Something else to remember when buying any type of knit fabric is that you get a lot more per yard than typical fabrics, so take that into consideration when looking at the price. Normal jersey fabric is 58″ to 60″ wide. When making children’s pants, I can usually get 4 pairs of pants out of a yard of fabric, so it goes a long way. I’m part of several Facebook groups that pertain to sewing and embroidery. I was always seeing people post pictures of children’s items they crated with super cute fabrics that I could not find in stores. I recently unlocked the secret, and today I’m sharing that secret with you. There are Facebook groups for custom knit fabrics. I’m a member of at least a dozen, probably more, and then there are B/S/T (buy, sell, trade) groups for those groups too. These groups offer pre-sales of fabrics, offering them at usually $20 a yard. Once the pre-sale closes, the fabrics are printed, and then in 6-8 weeks they show up at your door. Don’t want to wait that long? That’s where the B/S/T groups come into play, BUT you will pay more for these fabrics later. I’ve seen some fabrics going as high as $100 a yard, but usually there is a 25% to 50% markup. The great thing about the B/S/T pages is that people offer FHs (FH stands for fat half, and it’s a half yard cut longways, so approximately 30″ by 36″), and you can get great fabrics for cheaper prices. A great place to start is the Knit Destash group on Facebook. Go check it out! 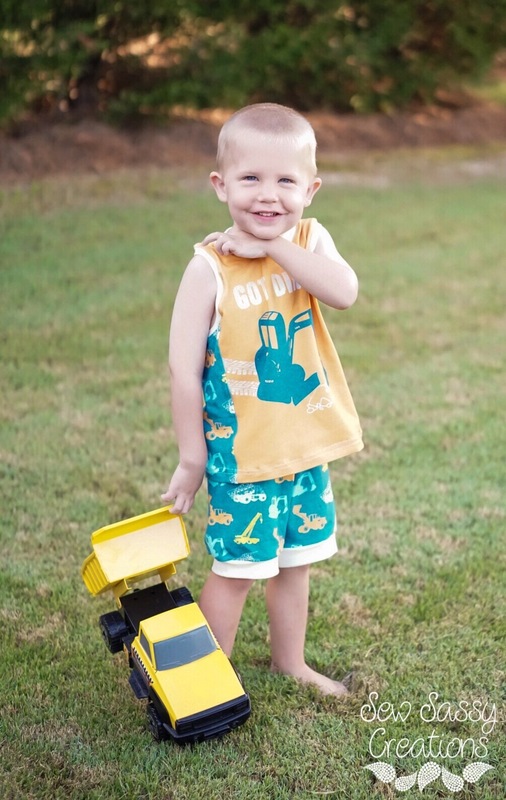 I love making clothes for my son. Trust me when I say that it’s worth it to pay money for a great pattern. Here are some of my favorite pattern shops! 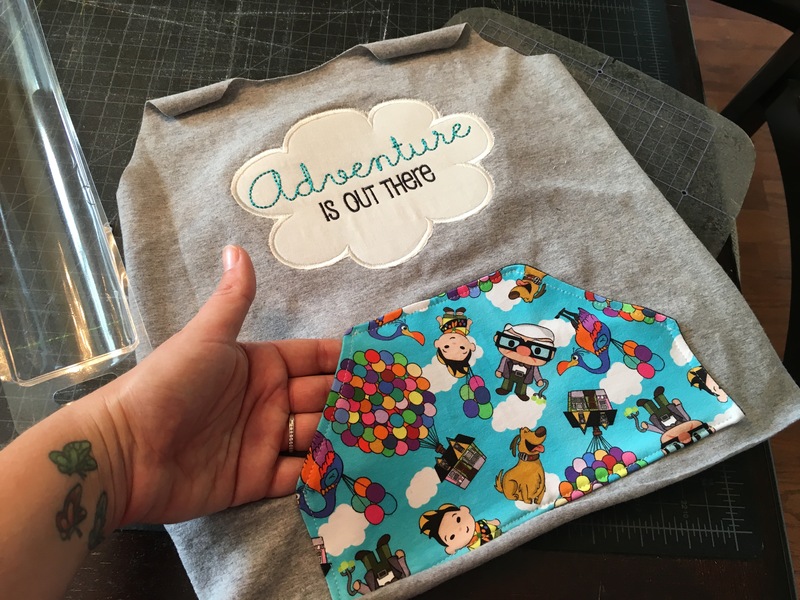 Peekaboo Pattern Shop– she also sells custom knit fabrics and they are fabulous! I hope that this was helpful and inspires you to take the plunge. Here is a pic of Zac with his new Big Hero 6 pajamas. Shirt is raglan tee pattern from Brindle & Twig, pants are maxaloones, and the fabric is from Sew Cute Fabrics on Facebook.